The biggest problem with profiles is that you can't really customize them. My RaidStudio profiles are being used by very different people. but keep the rare ones, some want to farm cloth and yet others are looking to get transmog gear. Every player has an own agenda. Profiles by themselves are just not customizable enough to fulfill all those different wishes. But since I always want to make my customers happy, I have created a plugin that solves this item issue and in the future is going to expand my products even more. And since I want you all to use it, I'll just put it on the store for free so you can experience those features. 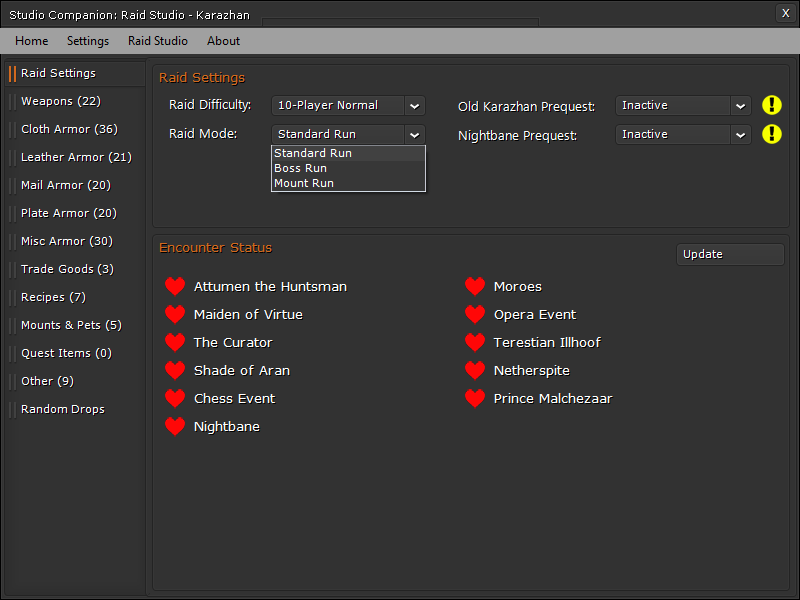 The "Studio Planner" enables you to chain run raids. I hope it is a solid foundation for even more awesome things to come. You just configure the raids you want to run. 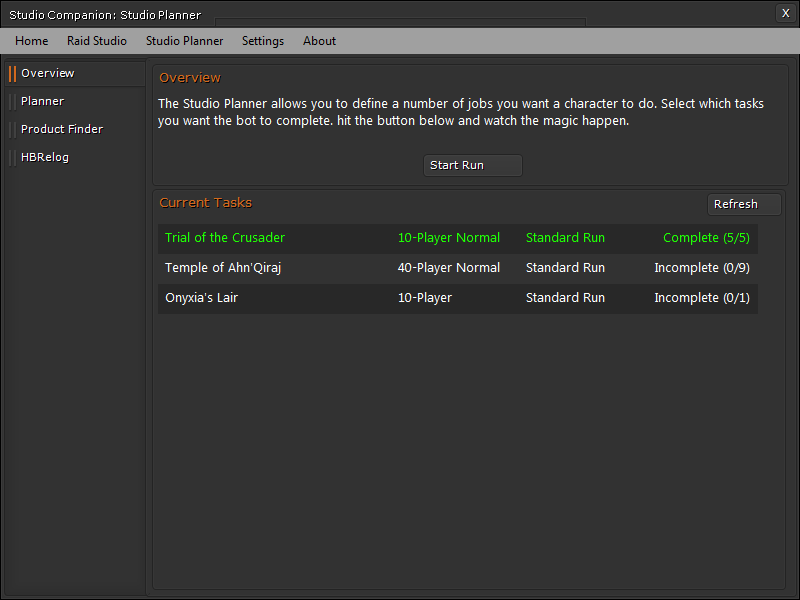 Then you can start the run through the "Start Run" button as seen on the screen or through a profile which will be generated by the Studio Companion. Its location is displayed on the HBRelog tab. You can easily stop the run at any time. The plugin will figure out which raids it should still go to when you continue. More? What do you want to see in the plugin? worldwide license to make use of the sound effect. aforementioned images are original work by Studio60. More information is available in the Legal.txt file that ships with the product, and will be provided free, on request. Studio Companion is not initialized yet. Please wait a few seconds before you open the configuration. - Legionfall War Supplies will only be considered for turnin when the prequest has been completed. - The world quest window now unlocks as soon as players unlock the Broken Shore by completing the first quest "In the Blink of an Eye"
- Added a new end condition for "Emissary and Broken Shore"
- The emissary priority is now factored in when calculating world quest priorities. !!! This does NOT include new quest profiles yet. It just means that the existing stuff works again !!! - The companion window should no longer bug out with "Still processing request"
- Plugin now correctly disposes timers and only uses one to update all world quest times. (BoP item appareances are automatically learned when you play solo and loot them. (ATTENTION: HB has no object database for Legion yet. 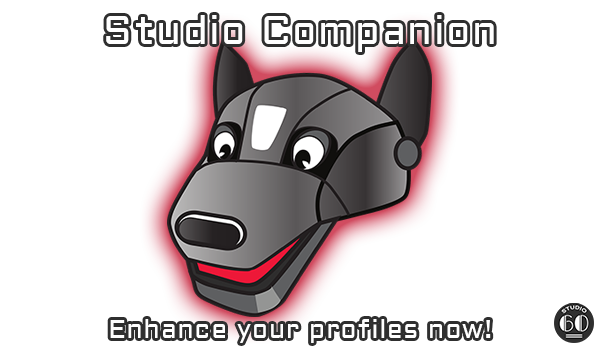 - Studio Companion will no longer crash when you open the settings while the plugin is disabled. 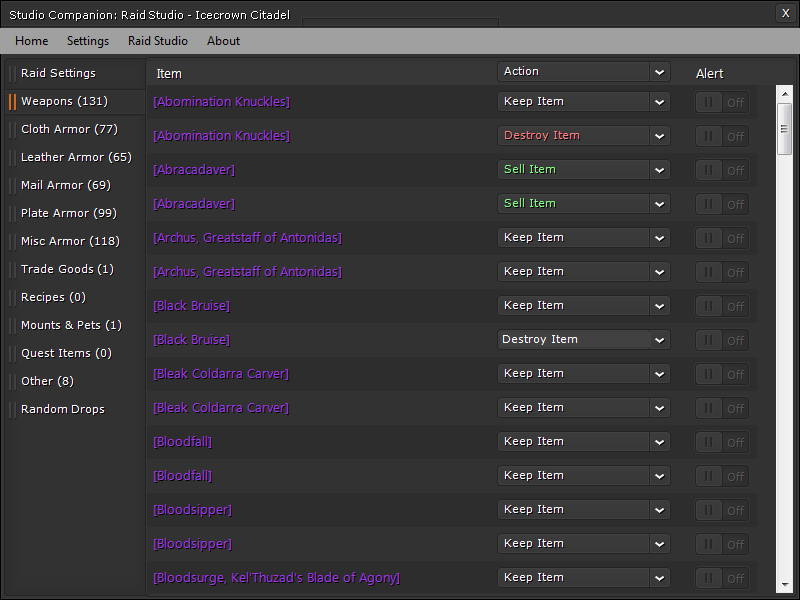 - A new quick travel menu has been added to reach various locations in Draenor (other continents to be added later). The quick travel menu can be accessed through the Studio Companion window or by right clicking on the ingame overlay icon. This feature is currently in public testing and can be considered BETA. Tell me what you think! - Added a dynamic ground blackspot to small podium at the side of the Hall of Mysteries in Ironforge. - Added Profile Helper "GetRaidDifficulty"